One of the greatest blessings our Lord gives is church workers. These faithful men and women, who dedicate their lives in service to the Church, are our greatest resource in bringing the Gospel to the ends of the earth. The Lutheran Church—Missouri Synod offers resources and services that facilitate the care and support of our pastors and other professional workers — both new and experienced — including training, continuing education and counseling services. The LCMS is blessed to have more than 13,000 men and women actively serving His Church — along with thousands more who have officially retired from their work but continue to bear witness to the Gospel in their personal lives. We pray for and support these dedicated servants and hope you will too. Gracious Lord and Shepherd, grant to all church workers, entrusted with special responsibilities among Your people, zeal and faithfulness to perform their tasks for building up Your Church, bringing glory to Your saving name. For You live and reign with the Father and the Holy Spirit, one God, now and forever. Amen. Soldiers of the Cross assists church workers with transitional or emergency financial needs, typically for one to three months, and offers pastoral care and case management. Veterans of the Cross provides small, periodic stipends and pastoral care for retired church workers (or surviving spouses) who struggle to pay for basic living expenses, such as medicine or utility bills. LCMS deaconesses are women trained to share the Gospel of Jesus Christ through mercy, spiritual care and teaching the Christian faith, and they serve church workers and laypeople domestically and abroad. Post-Seminary Applied Learning and Support is a program that regularly brings together small groups of seminary graduates for worship, study and discussion regarding new ministry experiences in the company of an experienced pastor. 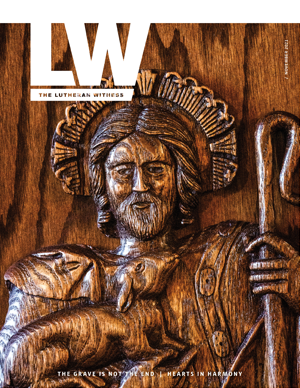 When One Suffers … is a great article in the latest issue of Lutherans Engage the World that describes how church workers who are suffering can receive spiritual care, counseling, education and more. 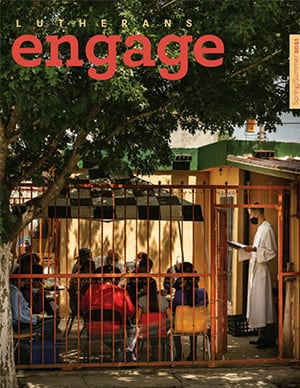 The September-October issue of Lutherans Engage the World features several articles that focus on the care and support of church workers. 10 ways to say thank you to your church worker — This PDF infographic is great for printing and posting to draw attention to the celebration of church workers.